Developer : Hungama Digital Media Entertainment Pvt. 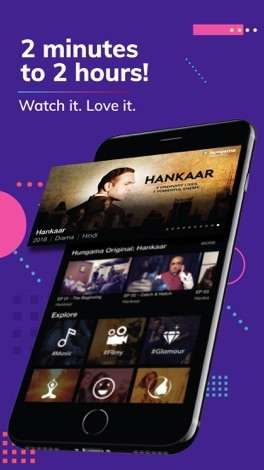 Ltd.
Hungama Play app offers curated, quick & fun HD videos to keep boredom at bay. 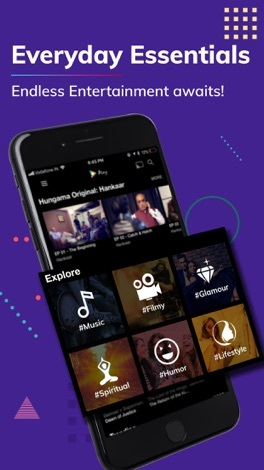 Get, set to celebrate 5-minute breaks with free entertainment across genres like Music, Live Music, Bollywood, Glamour, Spiritual, Comedy & Desi Kitchen. It’s all new and full filmy! In addition to this, our extensive library has 7500+ movies and 1500+ hours of TV across various languages. 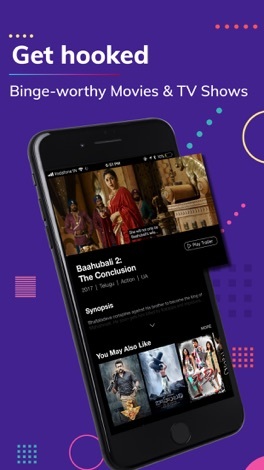 Pocket the BIGGEST BLOCKBUSTERS from Hollywood, Bollywood and other Indian languages, across-genres like action, romance, humour, horror, sci-fi, animation. Our BOLLYWOOD collection has the biggest hits of Salman, SRK, Ranbir, Deepika and more. You can also choose from the Bollywood classics like Andaz Apna Apna, Jaane Bhi Do Yaaro. Our HOLLYWOOD collection features the latest, popular & award-winning stars like Tom Hanks, Robert De Niro, Al Pacino, Leonardo DiCaprio; and includes international super-hits like Kong: Skull Island, Batman vs Superman: Dawn of Justice amongst others. Rely on us for future releases too. Our REGIONAL MOVIES run the gamut from Telugu down south to Punjabi up north. Enjoy a great selection of ENGLISH, HINDI & TAMIL TELEVISION SERIES such as critically acclaimed BBC’s Citizen Khan as well as ITV’s Mr. Selfridge. Tune in to POPULAR TITLES like Coupling, Mind Your Language, Top Gear and Tamil mega-serials like Vamsam & Ponnunjal. Hits for the little ones – from Shaun The Sheep, Wallace & Gromit to blockbusters like Brave, Toy Story, Happy Feet etc. Discover a showcase of short independent movies & documentaries. 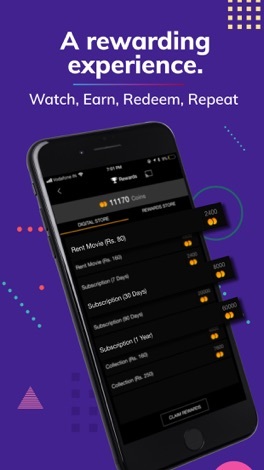 Hungama Play subscription entitles you to unlimited streaming of hosted content (Note: Movies that carry the “Rent” sticker are NOT available under subscription & can only be rented). The subscription amount will be displayed before you confirm payment and will depend on the subscription duration & your country. On confirmation, the payment will be charged to your iTunes account and the subscription will automatically renew unless you turn off auto-renewal at least 24-hours before the end of the current period. Your iTunes account will be automatically charged for renewal within 24 hours of the end of your subscription period. You can manage your Hungama Play subscription & turn off auto-renewal from your Account Settings anytime. However, no cancellation of the current subscription is allowed during active subscription period. More by Hungama Digital Media Entertainment Pvt. Ltd.